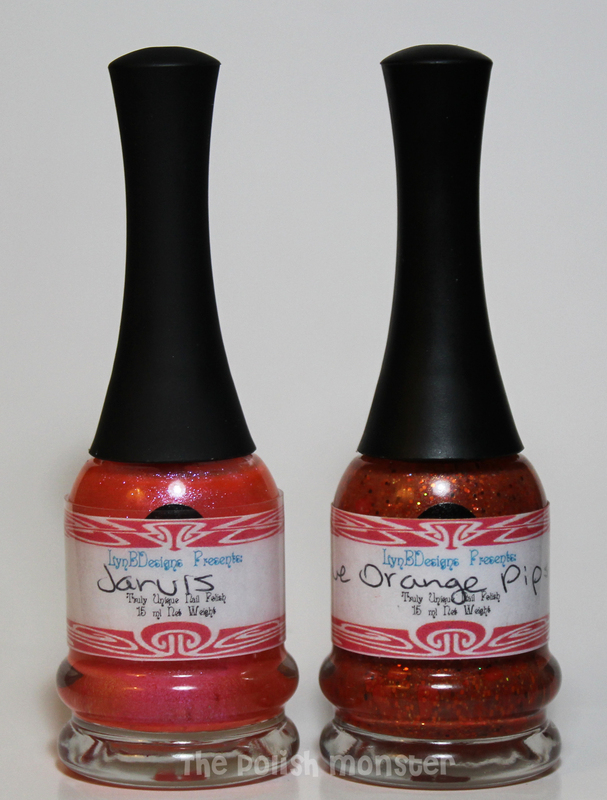 I have 2 beautiful colors from LynBDesigns to show off today- Jarvis and Five Orange Pips! 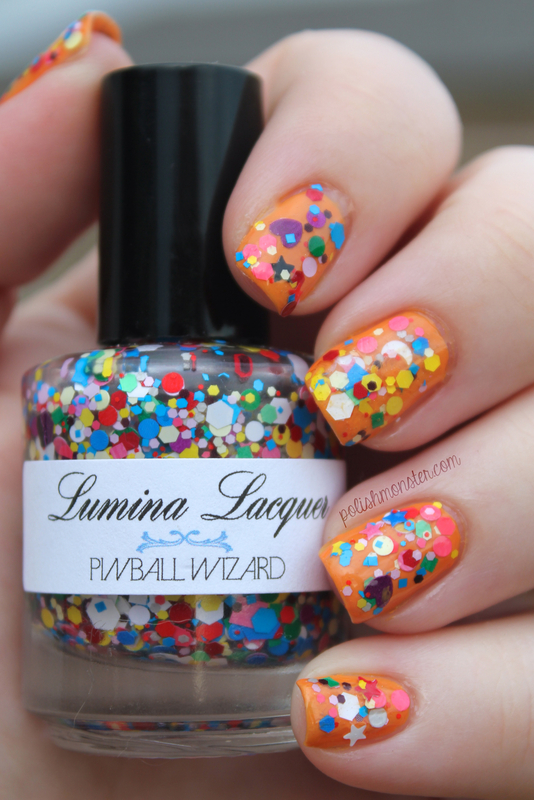 LynBDesigns has a TON of colors to choose from on her etsy site– there’s 95 polish listings! She also has a lot of other fun things to check out. You all know I love pink, especially the bright variety- so I was sold! This is 4 coats of Jarvis alone. 3 would have been sufficient, but without a base coat I had a tiny bit of VNL. This color is SO gorgeous! There’s a beautiful light color shift and the application is great. Even with 4 coats, the polish wasn’t too thick and was very wearable. This is 2 coats of Jarvis over Cult Nails Nevermore (my go-to black). WOW! Look at how pretty! 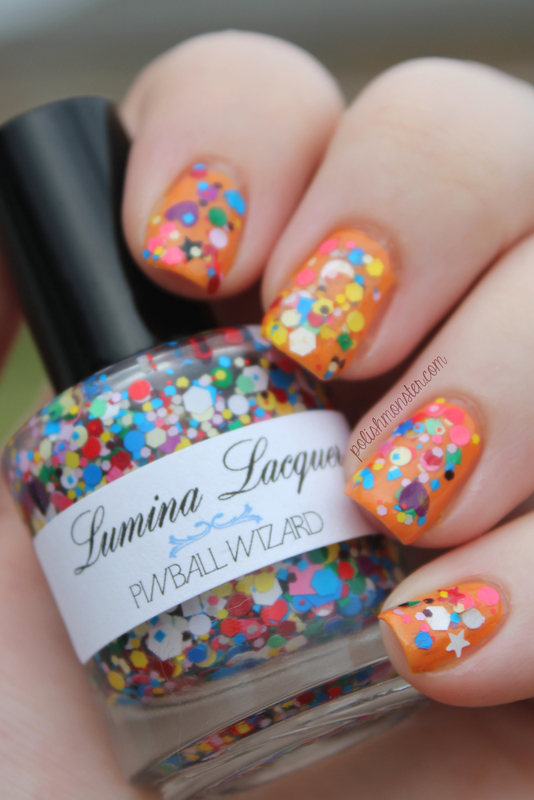 I love a color-shifting topcoat that can be worn on its own- it makes it very versatile! 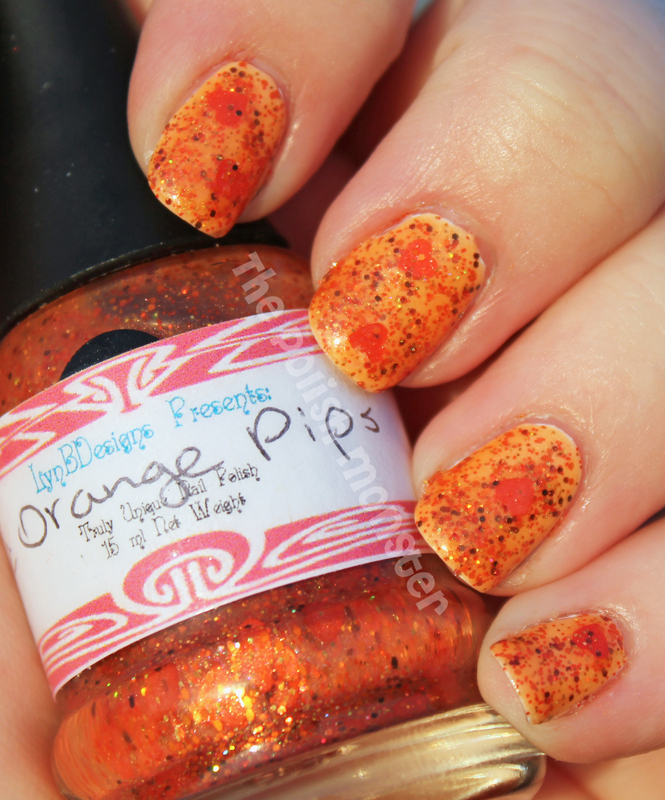 The second polish I have to show off from LynBDesigns is Five Orange Pips! 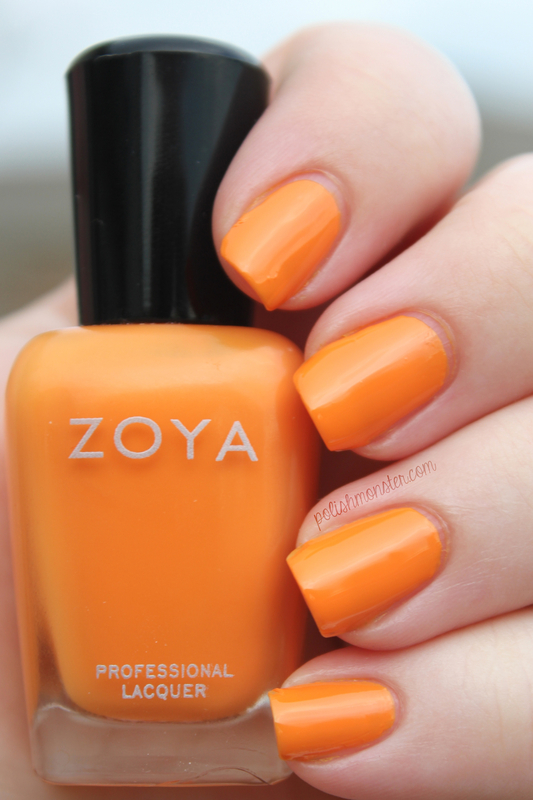 Even though it’s not part of LynBDesigns’ Halloween collection, this color is absolutely perfect for a holiday look. This is 2 coats of Five Orange Pips over Sally Hansen’s Ivory Skull (one of the new Fall Complete Manicure colors; a plain white). This was an easy color to work with- the only hard part was (as expected) the cute orange hearts- but they didn’t require too much effort to get them to come out and play! The white in these photos really shows off the orange jelly of Five Orange Pips. 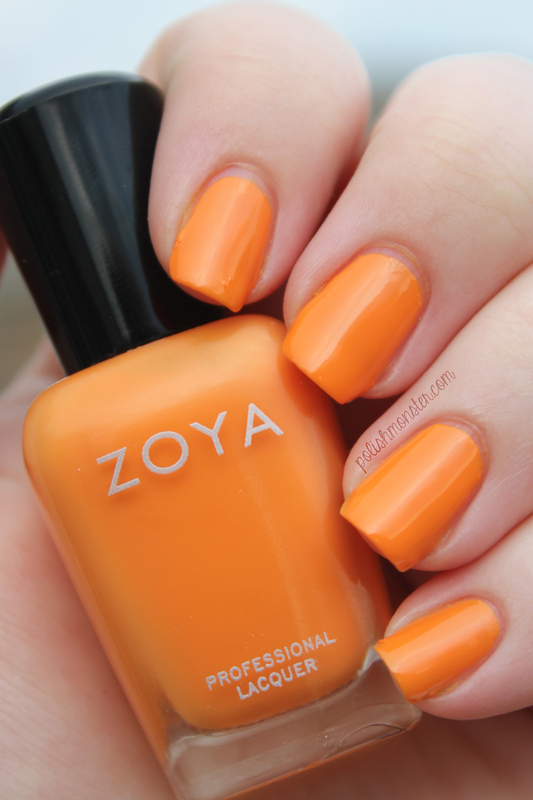 This is my favorite combo- 2 coats of Five Orange Pips over Cult Nails Nevermore. Does this scream Halloween or what?! I really, really loved these 2 polishes. Both were super easy to work with and covered nicely- and most importantly, they both looked so very beautiful! I play on getting a lot of use out of Five Orange Pips this fall! LynBDesigns is currently offering a Buy Two, Get One Free sale (as of 9/19)! Just write a note requesting which color you would like as your free choice. Be sure to check out LynBDesign’s Facebook page for new colors and updates. She has a pretty Nightmare Before Christmas-inspired Halloween collection just released!